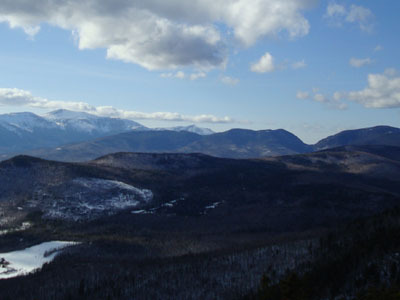 Though no trails reach the true summit of Black Mountain, the large mountain has featured lots of alpine skiing for many decades. 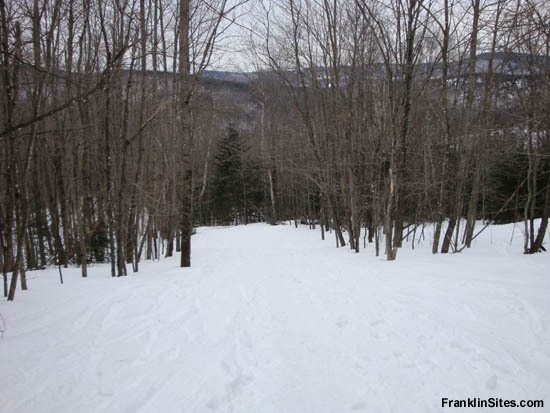 In addition to the Black Mountain Ski Area, the mountain is also home to the Black Mountain Trail. 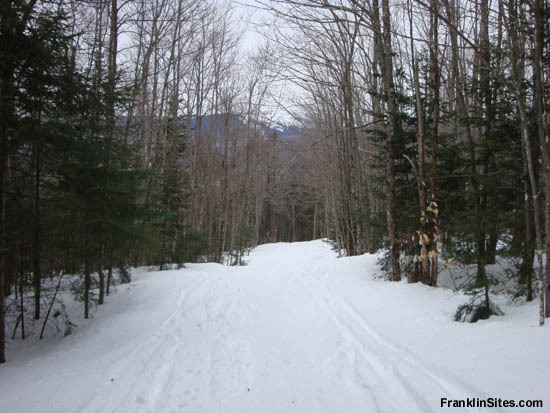 The Black Mountain Ski Trail was cut by the Saco CCC in 1934. 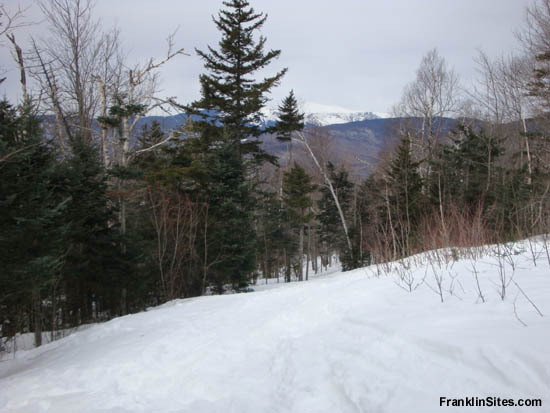 The trail features a few turns, but never becomes overly steep. 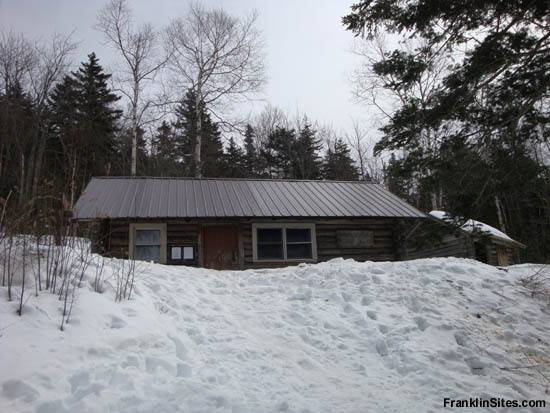 There is a cabin, available for rent, at the top of the ski trail. 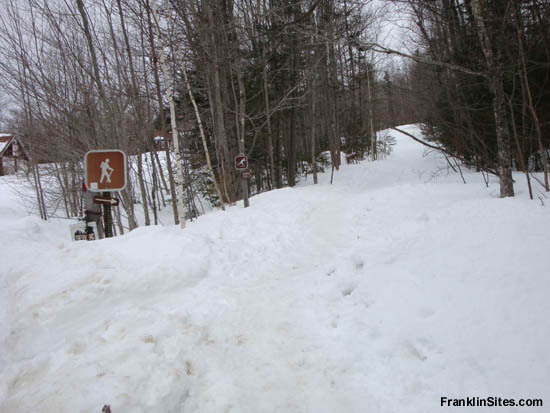 The trail does not reach the summit of Black Mountain, nor does it connect to the Black Mountain Ski Area.
" 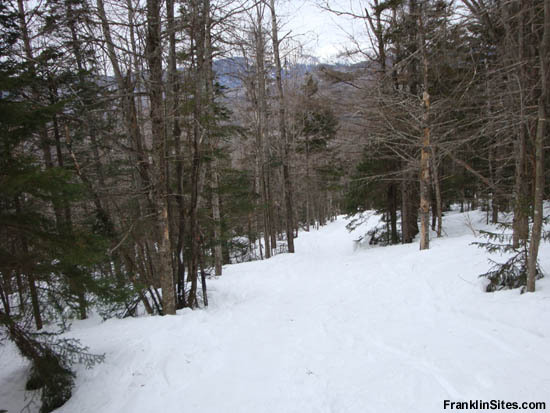 These two trails (Black, Doublehead) were cut by the Saco CCC under the supervision of Mr. Mattoon's office (WMNF Supervisor). " 1. Location - Take road past Eagle Mt. 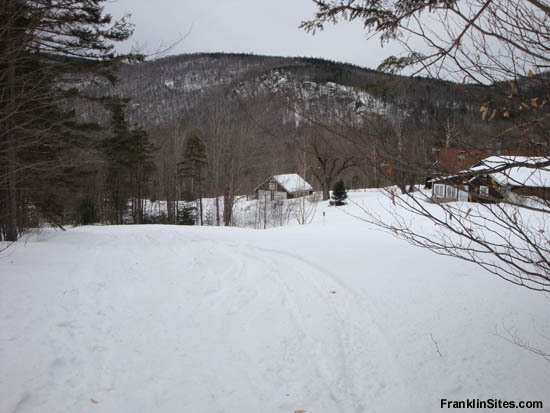 House, Jackson, to Fernald's cottages. Can drive to within .25 mi. 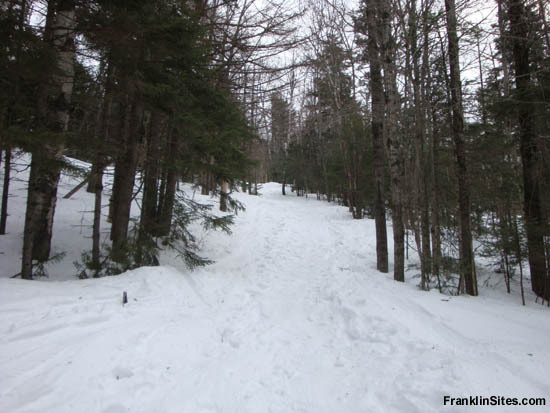 of foot of trail which runs E. to public cabin (stove and bunks for 12) and Davis Tower on Black Mt. 3. Width - 15' to open slopes. 4. Max. Grade - 25º. 5. Vertical Drop - 1300'. 7. Consists of a series of open slopes with openings cut between them. Suitable skiing for all degrees of ability. Lookout tower at summit. Other accessible open slopes on E. side. " 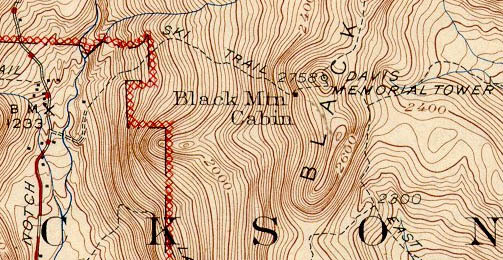 " Black Mt. Trail (W.M.N.F.). Take road past Eagle Mt. House, Jackson, to Fernald's cottages. 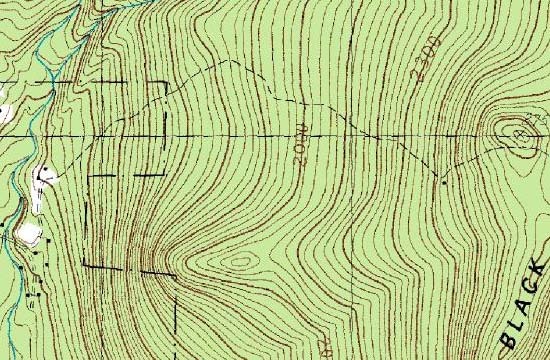 Can drive to within 0.25 m. of foot of trail which runs E. to public cabin (stove and bunks for 12) and Davis Tower on Black Mt. Length 1.5 m. Max grade 25�. Consists of series of open slopes with openings cut between them. Suitable skiing for all degrees of ability. Lookout tower at summit. Other accessible open slopes on E. side. " 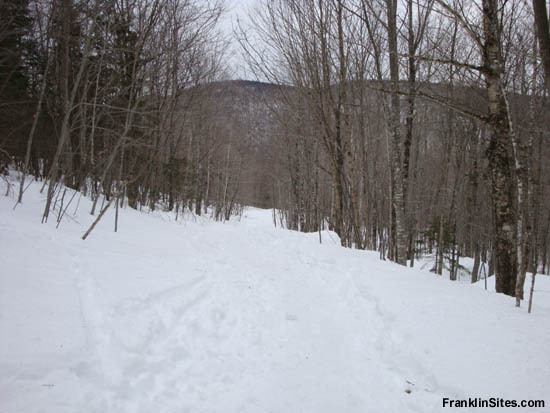 " Black Mountain Ski Trail leaves the E (R) side of the Carter Notch Road at a sign 3 1/4 m. from Jackson village. It ascends through a series of open pastures, connected by short lengths of trail, to the col. 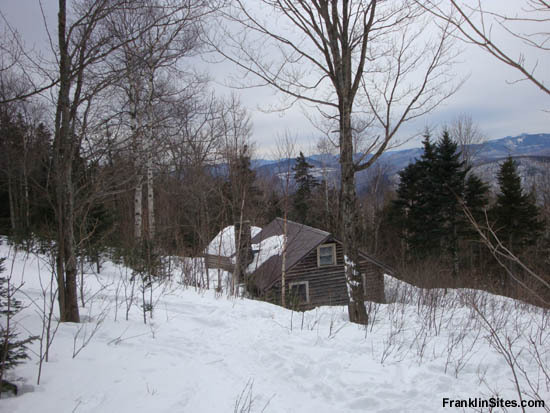 There is a WMNF cabin, with stove, accomodating 12, on the W slope of the mountain to the S of this trail 1/2 m. from the top of the ridge. "